Electronic Arts, better known as EA, is going to release soon its 14th social game in Facebook: Dragon Age Legends. Since 2009, a talented team of coders and designers have been working in the development of this social game in Facebook. The team is lead by Ethan Levy, producer of Dragon Age Legends, who made the initial announcement of this game in October 27th, 2010. The development team is a mix of talent from both EA and BioWare, the company that created the game concept of Dragon Age. The first installment of Dragon Age was Dragon Age: Origins, a dark heroic fantasy role playing game (RPG) based on BioWare’s popular Baldur’s Gate series of games. EA expects this game to catch a bigger slice of the highly lucrative social game industry, where rival Zynga is thriving. Also, Dragon Age Legends is EA’s first major attempt at delivering on the goal of creating a fully featured, highly accessible, incredibly fun game that is tailored specifically for social networks. A common question by Facebook gamers is whether Dragon Age Legends brings anything new to the table than let’s say Vampire Wars. The response from the EA/BioWare team is twofold. First, the game is built around a very strong story. Unlike games like Mafia Wars that have no particular characters or settings, BioWare spent a considerable time crafting the story you will experience in Legends, making sure it measures up to the Dragon Age arch. Second, the development team wrote an outline that tells the first year story arch for Legends. 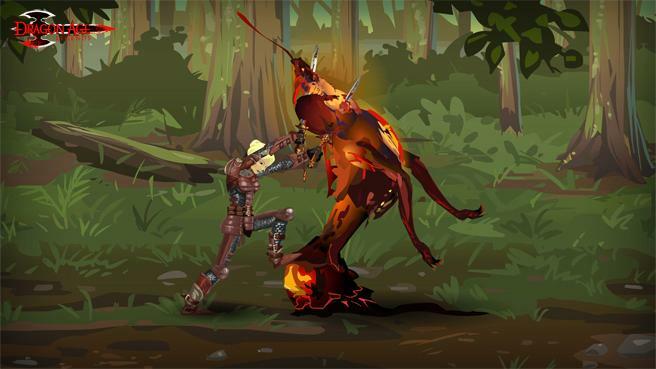 Following the launch of Legends, their ambition is to update the game in a comic book like fashion, dropping new quests and narrative into the world on a weekly basis to tell a cohesive story. And of course, including great cinematic sequences whenever possible (as of 2/24/11 their latest teaser trailer has over 33,000 Facebook likes). Ethan explains that this game is built around the concept of “Meaningful Social Gaming”. Legends can be played solo, but it is infinitely better with friends. On one hand, you will compete to create the best hero with the coolest castle and most powerful loot. On the other, you will cooperate by pulling their heroes into every battle. When you use your friends’ heroes, you are rewarded by being able to easily destroy darkspawn and demons. Your friends are rewarded by earning earn gold for every battle you use them in. 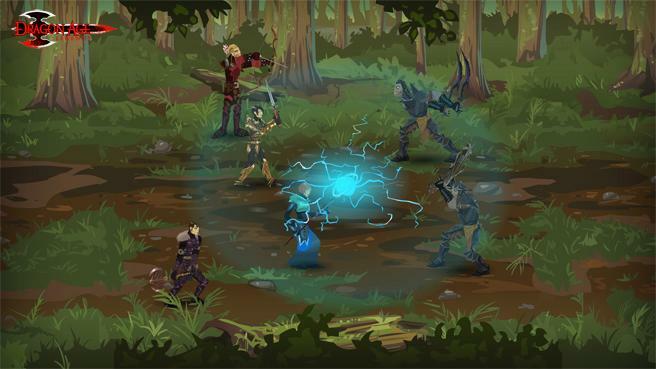 Legends has many social interactions, but using your friends to defeat monsters is key. Article by Damian Davila, online marketing and web analytics blogger at idaconcpts.com. Follow him at @idaconcpts.